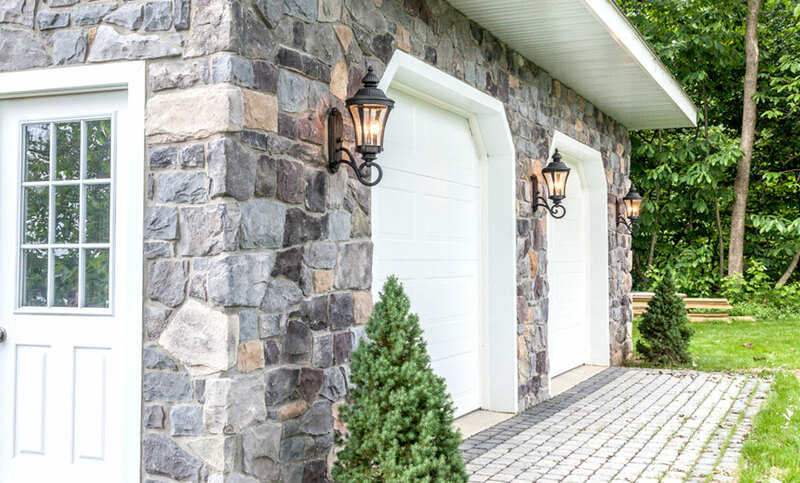 At Conestoga Buildings, we’re a custom garage builder who knows how to create high-quality structures that will add value to your home. 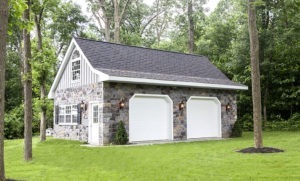 And a new garage that we recently completed in Maryland is a great example of our work. Read on for photos and details! This garage features a number of creative details that add style to the homeowner’s property. 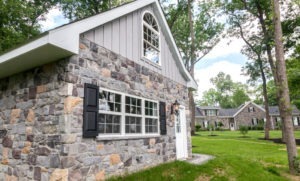 The combination of gray stone with board and batten siding results in a classic and sophisticated look. 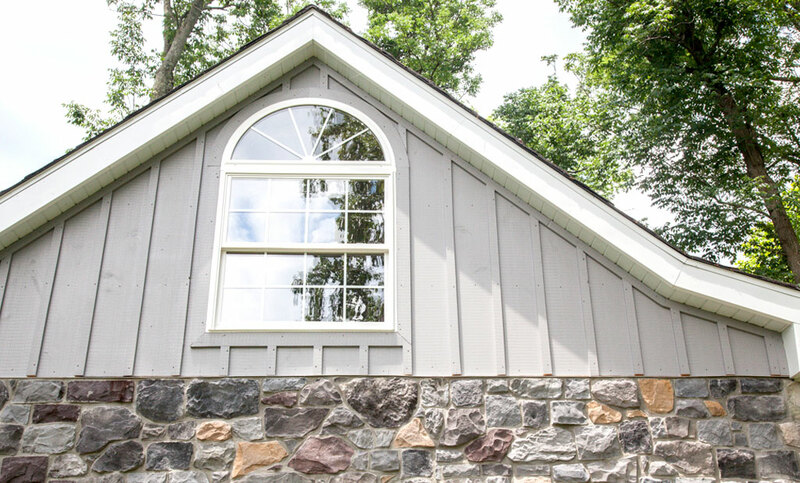 Custom lighting details and large windows add a stylish finishing touch. 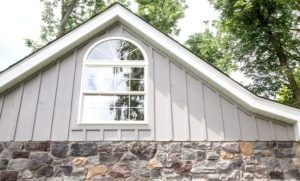 The break in the roof over the garage doors breaks up the building’s visual lines and adds a creative detail. 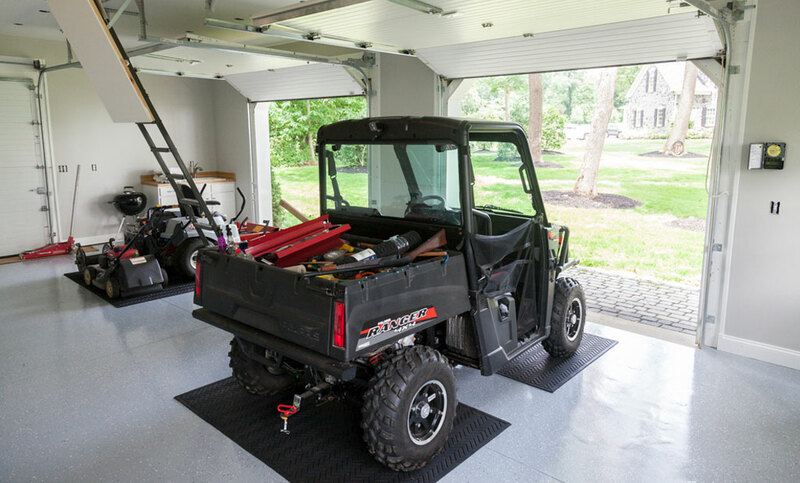 In terms of adding function to the homeowner’s lifestyle, this custom garage delivers. With two large bays, the garage can accommodate cars, tractors, bobcats and more. And with a finished interior, including a large workbench, custom cabinetry, and a flexible sink station, this is a multi-purpose building that can serve a variety of purposes. Even better, thanks to an unfinished second floor storage area, this building provides flexible working and storage functionality for a variety of purposes. 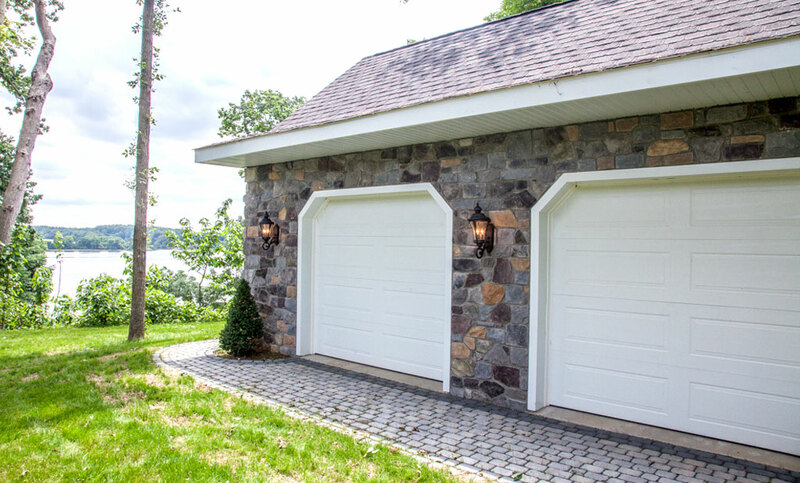 All in all, this custom garage project features creative styling, a sophisticated look that complements the homeowner’s property, and above all else functionality that will enhance this family’s lifestyle. If you’re looking for a custom garage builder to help bring your vision to life, contact us today. We look forward to helping you create a new garage that will add style and value to your home!